If you need more power or desire a firmer keyboard, you’ll need to look elsewhere. For most people, though, the Folio represents a capable and versatile hybrid that’ll handle most tasks for more than a day – and it’ll look great while doing it. 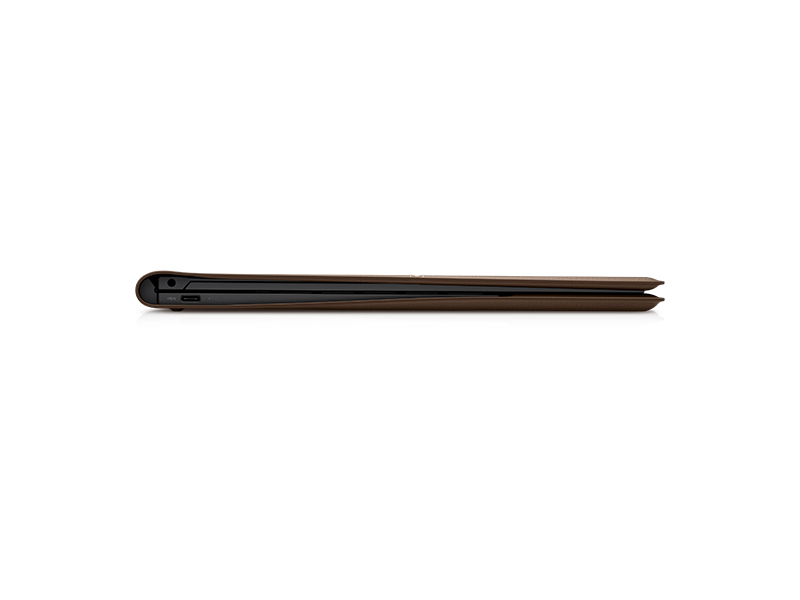 More than just a laptop with leather accents, the Spectre Folio is a 2-in-1 that’s partially made of leather and it makes the most of that unique material design to stand out amongst the crowd. To be fair, the Spectre Folio had actually made its debut nearly a month ago. It's a notebook that breaks the ubiquitous, all-metal design template that has become the norm for all notebook manufacturers. 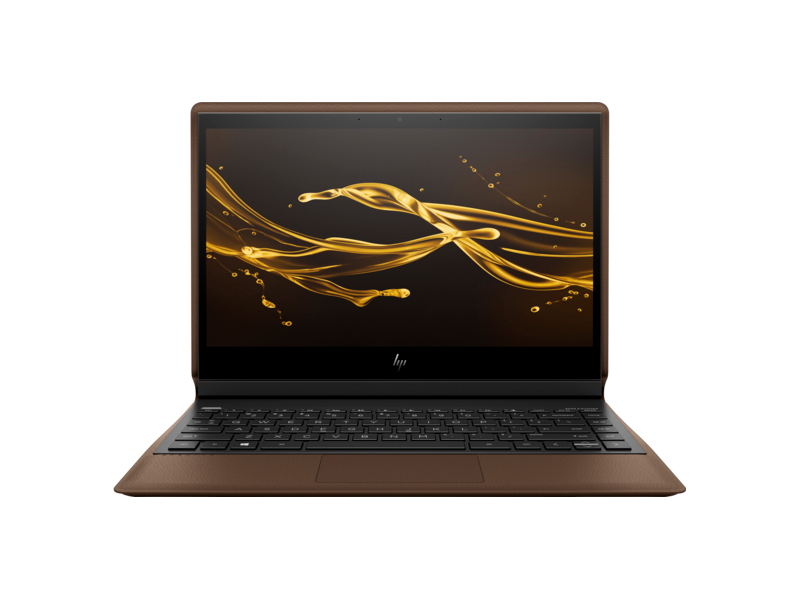 The HP Spectre Folio is truly a unique laptop and that uniqueness will no doubt be a very compelling factor for some consumers. The built-in portfolio case is classy and hard to ignore, but HP went beyond the surface, also focusing on a hinge design that is superior to many competing 2-in-1 notebooks. 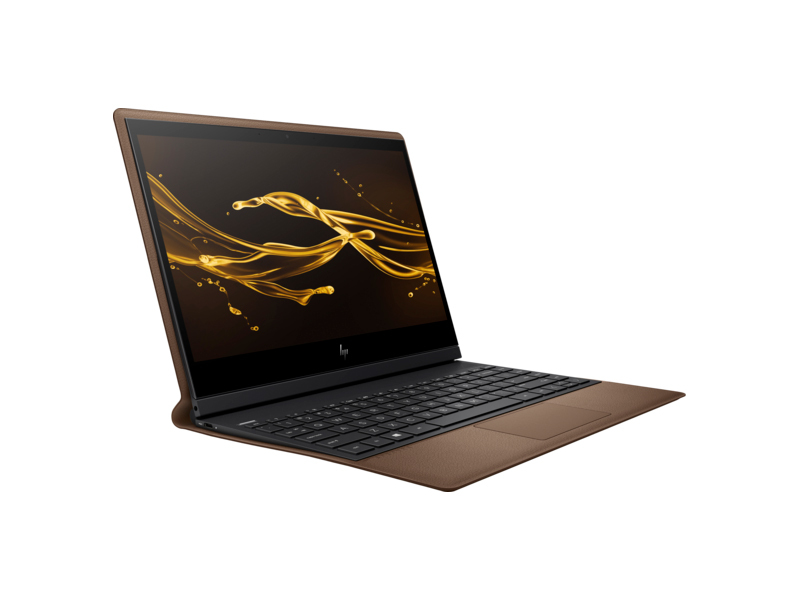 The new HP Spectre Folio is a well-balanced ultralight convertible laptop that checks off all the right boxes. Any notebook that combines superb battery life, respectable performance, beautiful looks, luxurious feel and makes you want to take a second whiff, is worthy of our Editor’s Choice award. HP hit a home run with the Spectre Folio and its easily one of the best premium 2-in-1 we’ve tested to date. HP's inventive two-in-one hybrid is fun to use and show off, but its ambitious hinge design can get in the way at times. There are various versions of the Folio, which will be available at different times, so pay attention carefully to release dates to make sure you get the variation that's right for you. Firstly, it will come in two colours: a brown cognac, and a burgundy bordeaux, with the latter of the two coming later this year. A 4K version will also be available in December 2018. I think the supposed “PC decline” was less about some big change in the buying public and more about the lack of demand generation and innovative products. 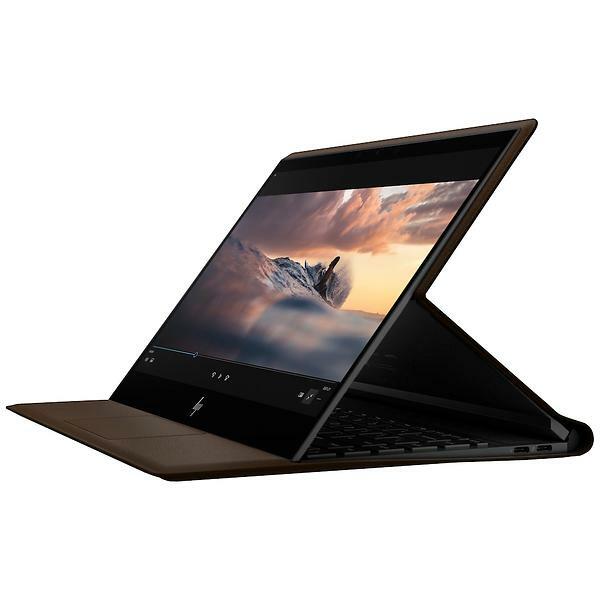 HP has stepped up with both and this new HP Spectre Folio is both innovative and desirable for those that would really like a 2-in-1 personal computer. It has style, it has comfort, and it represents a direction towards innovation that this market has sorely needed. Now if it just came in blue/black. Positive: High mobility; premium design; powerful hardware. Positive: Impressive design; solid workmanship; metal case; nice display; compact size; light weight. 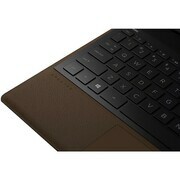 Positive: Excellent design; high mobility; good keyboard; long battery life; realistic audiovisual experience. HP is putting a new spin on laptop convertibles inspired by antique cameras and wristwatches. The one-of-a-kind leather design is both premium and classic, but its size, weight, and features fall a bit short compared to the sleek and modern metal Ultrabook. Without leather it would be impossible to tell a really important book from the latest Mills and Boon, we wouldn’t have anywhere to store our money, we couldn’t hold up our trousers, we wouldn’t have chapps and if HP had its way, we wouldn’t have laptops either. 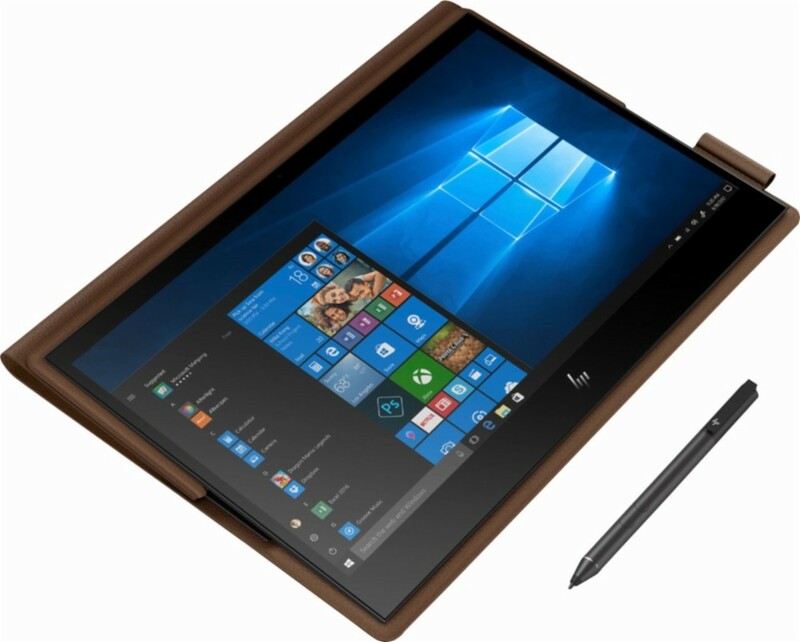 So integral is the leather folio to the professional convertible that HP have chosen to literally glue beef-skin to its latest 2-in-1. 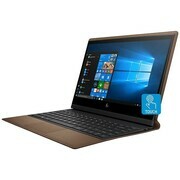 And while this may mean HP’s latest device has to endure being called names like the MeatBook, gluing your folio case to the laptop isn’t always as bad as it seems. Windows 10 does an excellent job of integrating LTE connectivity, and our evaluation pattern got here with a Vodafone SIM card already put in. This meant that after establishing Windows 10 for the primary time, we had been in a position to entry the web instantly with out having to hook up with a Wi-Fi community and enter in a password. It’s a really useful function that may actually attraction to numerous folks. Positive: Great display; long battery life. Negative: Mediocre ergonomy; average speakers. 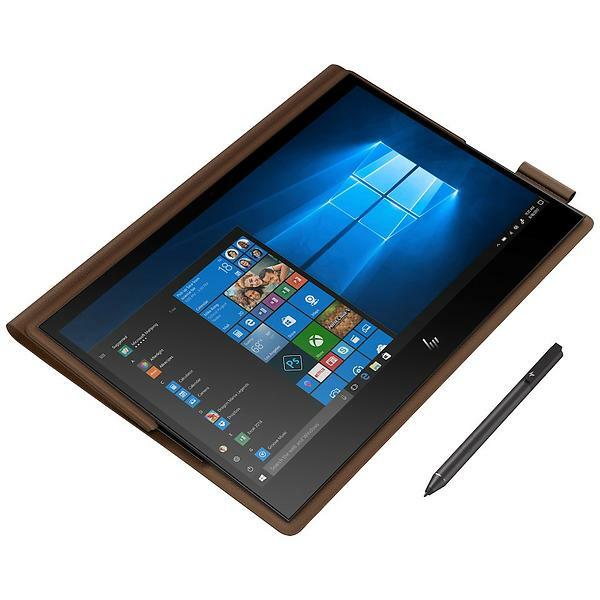 The HP Spectre Folio looks fantastic, thanks to its leather exterior, and it’s satisfying to use in its tablet, media and laptop modes. 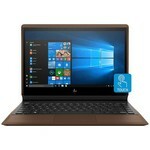 The screen is brilliant, the battery life shames rivals and the CPU can easily handle day-to-day computing tasks. Rivals have more satisfying keyboards and more CPU power, but the Folio remains a stylish and intuitive hybrid. Intel UHD Graphics 615: Integrated graphics card in some Amber Lake Y-series processors (5 Watt TDP) with 24 EUs (GT2) and no dedicated graphics memory. Clocks with up to 1000 MHz depending on the CPU Model. » Further information can be found in our Comparison of Mobile Graphics Cards and the corresponding Benchmark List. 8500Y: Extremely efficient ULV-SoC (System-on-a-Chip) for tablets and fanless notebooks based on the Amber Lake architecture which is basically a Kaby Lake chip produced in the improved 14nm+ process (no 14nm++) with higher clock speeds and 5 Watt TDP. Includes two CPU cores clocked at 1.5 - 4.2 GHz with Hyper Threading support as well as a graphics adapter. Fastest Amber Lake-Y chip at the time of announcement. 78.68%: This rating is not convincing. The laptop is evaluated below average, this is not really a recommendation for purchase.» Further information can be found in our Notebook Purchase Guide.